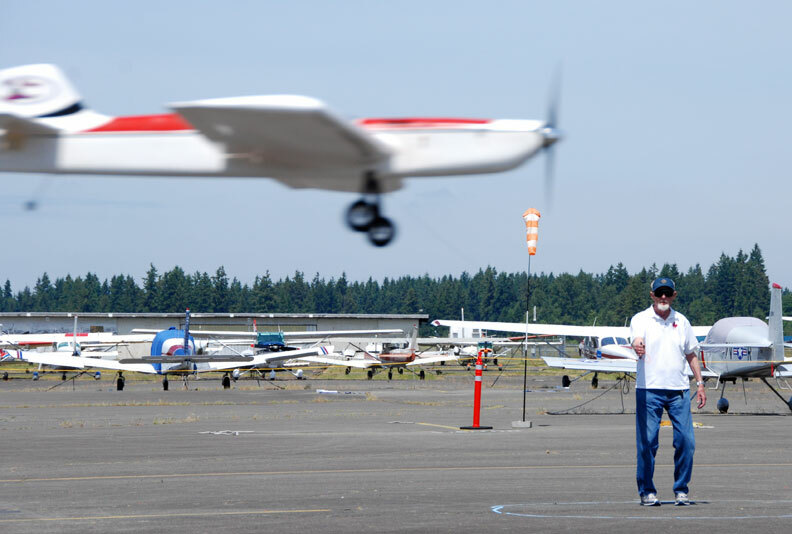 This photo captures the scene at the Stunt-a-Thon at Pierce County Airport in Puyallup, Wash. Paul Walker's 2014 Predator flies past the Hangar Inn Restaurant with judges Steve Helmick (left) and Dave Gardner (right) and several spectators in between. Flying Lines photo. 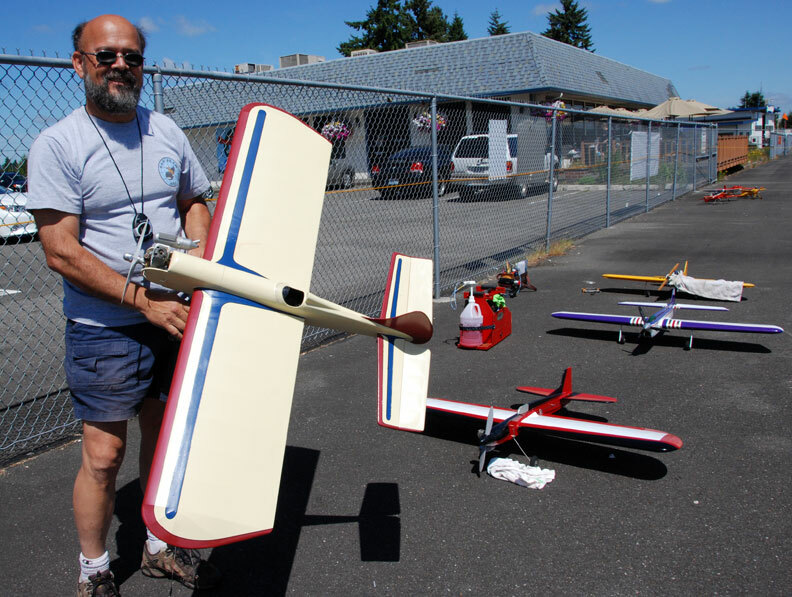 June 7-8, 2014, Pierce County Airport (Thun Field), Puyallup, Wash. The annual early summer stunt extravaganza at Thun Field followed the 2014 trend of light entry but lots of good flying, mainly in the Expert Precision aerobatics class. 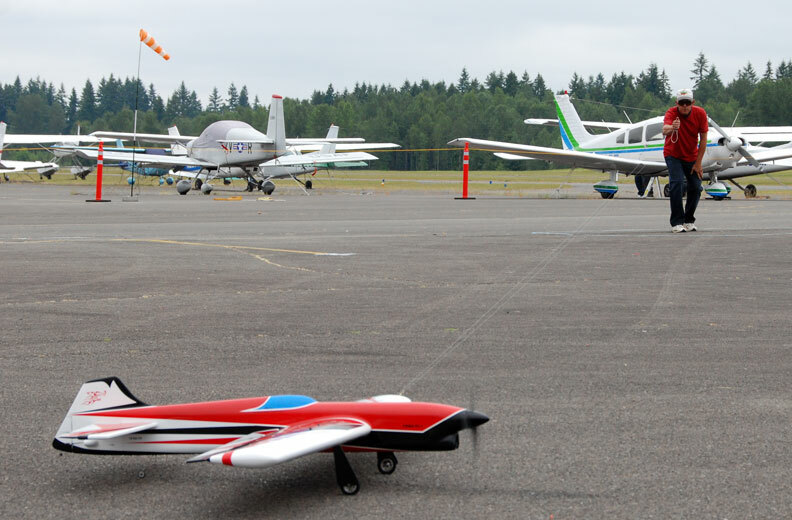 The Northwest Skyraiders once again hosted a pleasant event at the comfortable site with a restaurant alongside the flying circle and an aviation-lover's paradise of interesting airplanes all around. Weather was mild, ranging from light overcast to sunshine, with light and shifty winds most of the time. 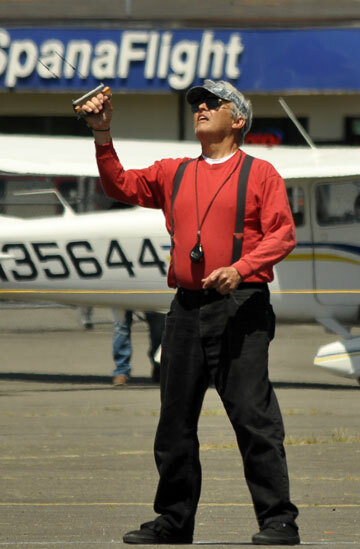 In the main event, Expert Precision Aerobatics, Paul Walker led a field of seven fliers. Tom Strom topped Advanced. 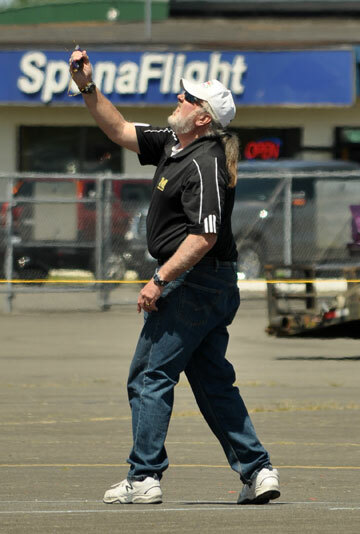 Mike Haverly won Profile, Bruce Hunt topped Classic/Nostalgia 30 and John Thompson won Old-Time. 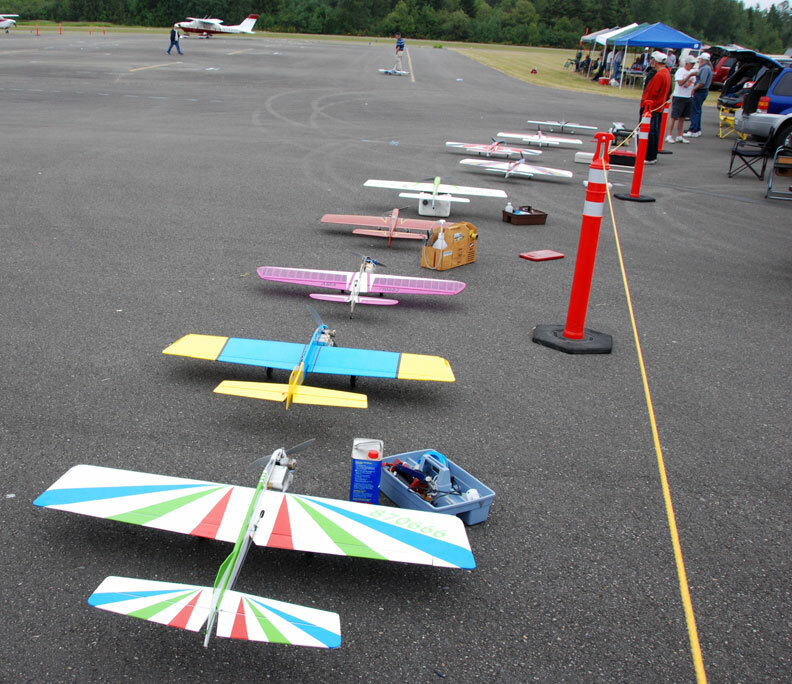 Contest Director Steve Helmick and other Skyraiders including Dave Gardner, Pete Ferguson and others, kept the contest running at a smooth pace. Nice trophy plaques made by Ferguson included photos of the contestants..
Bruce Hunt puts in a flight in Expert Precision Aerobatics. Daniel Johnson photo. 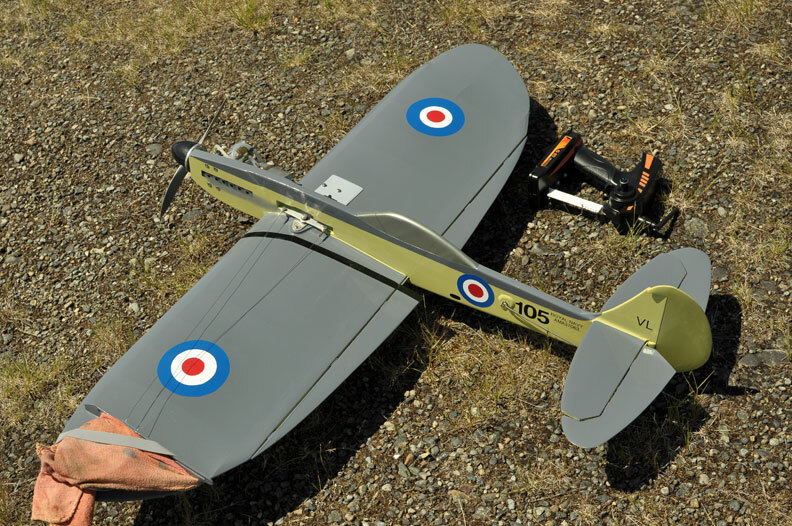 Keith Varley's E-Sultan flies against the perfect stunt sky. Flying Lines photo. Bruce Hunt's Stiletto on the Expert PA ready line. Daniel Johnson photo. Marc Winz (left) and Rex Abbott put in flights. Daniel Johnson photos. 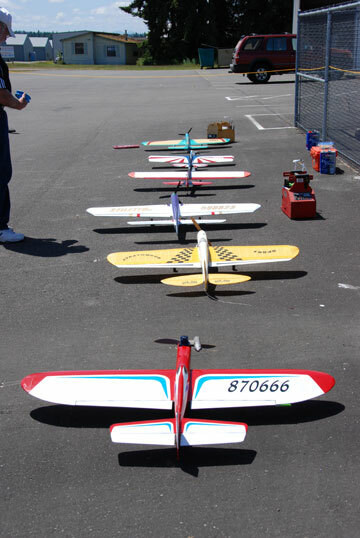 Lineup of Precision Aerobatics planes on Sunday. Flying Lines photo. Classic/Nostalgia 30 planes ready on Saturday. Flying Lines photo. Paul Walker's Predator begins its takeoff roll for an Expert Precision Aerobatics flight. Flying Lines photo. 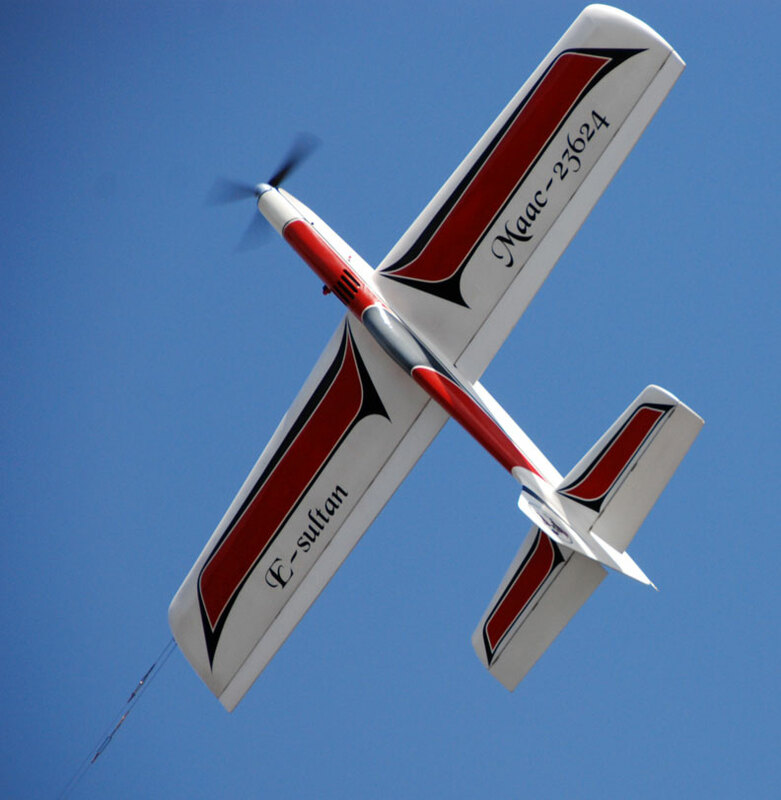 Keith Varley pilots the E-Sultan in Expert Precision Aerobatics Flying Lines photo. Tom Brightbill shows off his Humongous for Old-Time Stunt. Flying Lines photo. 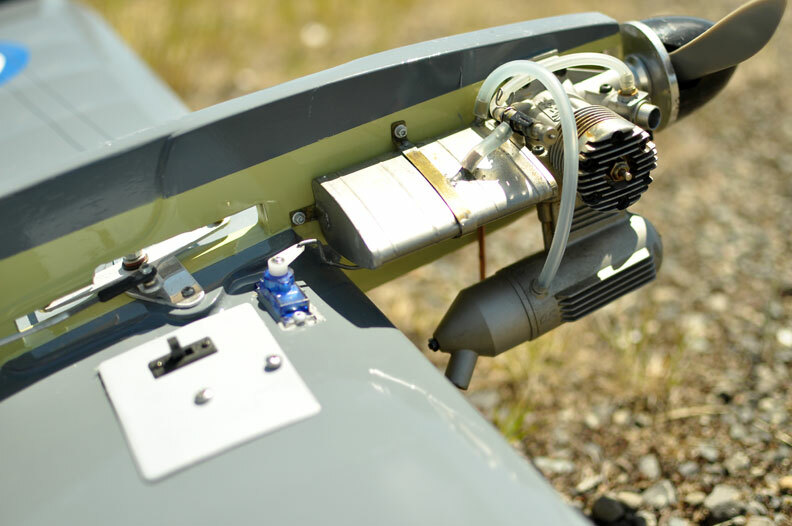 Close look at the setup on Mike Potter's new Northwest Sport 40 Carrier plane, a 2.4gh Supermarine Seafire built from a Larry Richards Kit. Daniel Johnson photo. Wide view of the Potter's new plane. 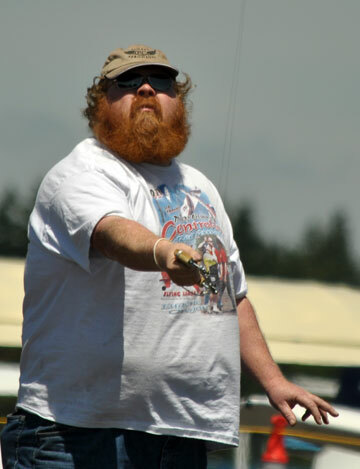 Mike was unable to fly because of recent surgery. Daniel Johnson photo. 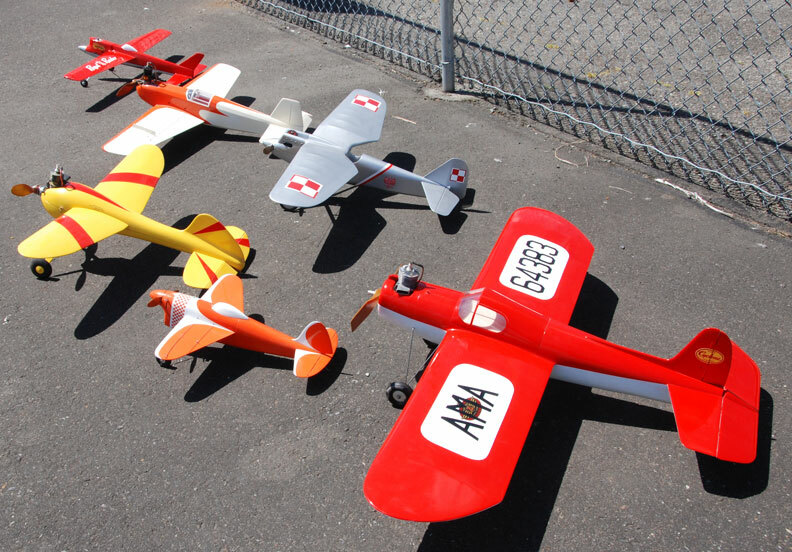 Bob Parker displayed this collection of vintage control-line planes. Flying Lines will feature close-ups and details of these planes later. Flying Lines photo.